Leather jacket by Strenesse. Made of velvety-soft, premium quality lambskin nappa leather. Slightly shorter and fitted design with elaborate leather dividing seams. Whether you team it with trousers, a skirt or a dress, this luxurious jacket will enhance any outfit! 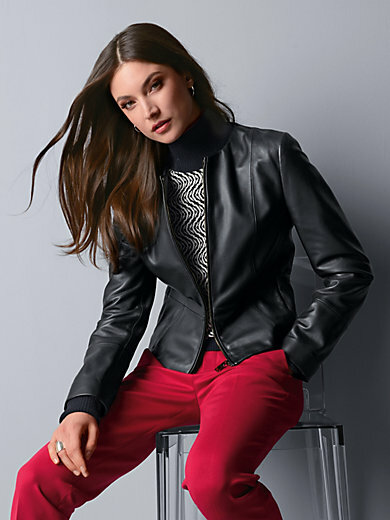 With round neckline, slash pockets in the seam and front zip fastening. Lining 65% acetate, 35% polyester. Length approx. 20ins. Special leather clean.